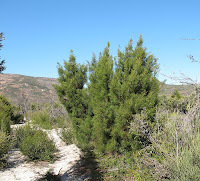 This Callitris was until very recently (2010) listed in the Actinostrobus genus, which has since been discontinued. 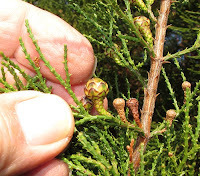 It was initially separated from Callitris by having scales at the base of the mature female cones, plus the valves being of similar length, but after DNA study they were found to be very closely related and so were combined under the Callitris banner. There were three Actinostrobus species, which were separated from each other by the shape of the mature cones, which with C. pyramidalis has a rounded top. This feature, plus the basal scales and the similar length valves will now distinguish it from other Callitris spp. 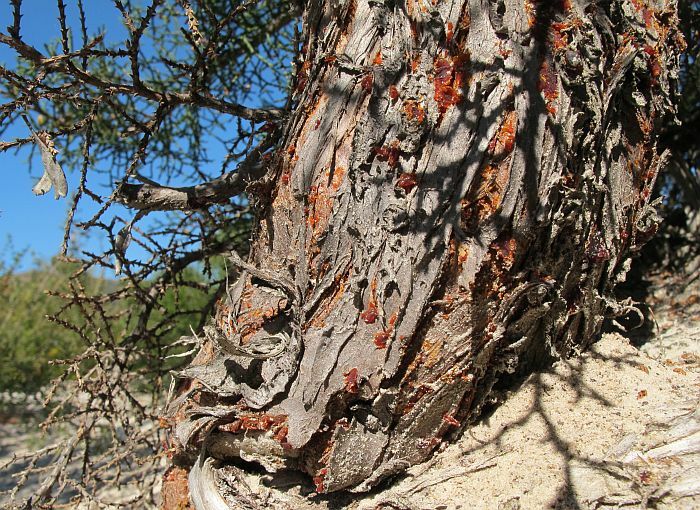 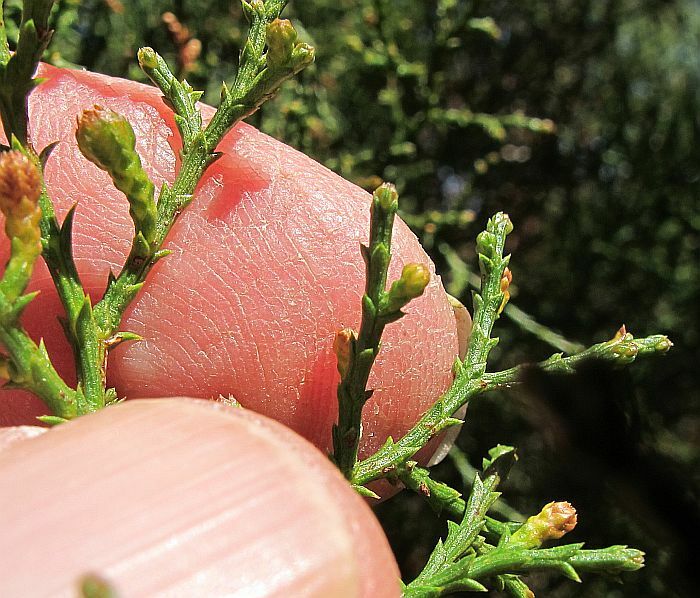 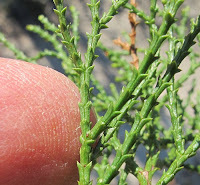 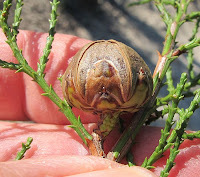 In the Esperance district Callitris pyramidalis is only known from the Cape Le Grand National Park, but is common in low-lying areas west of Ravensthorpe both inland and along the coast to Kalbarri (500 km or 310 miles NNW of Perth). Locally it grows in a sandy soil overlying granite, where rainwater run-off from a nearby granite outcrop would likely create sub-surface seepage. 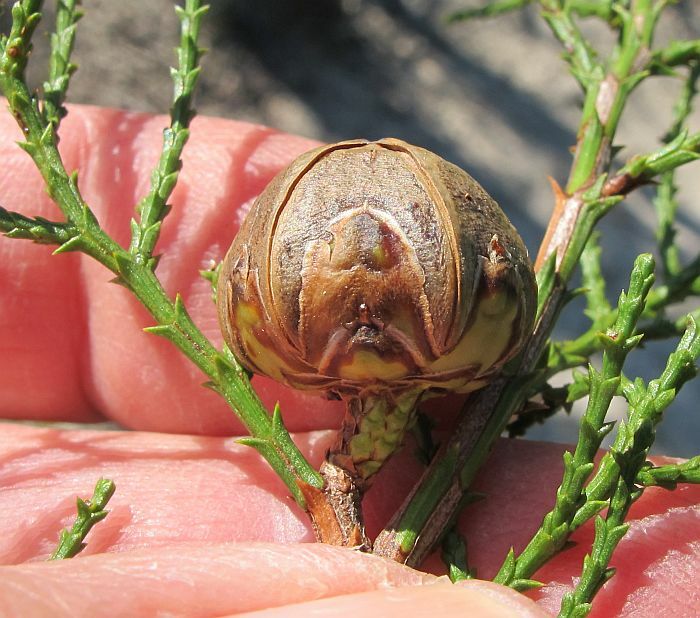 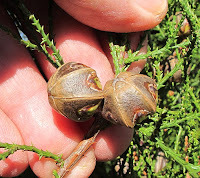 Above are shown the juvenile male and female cones that occur on the same plant, plus mature female ones that will release their seed after a bushfire. 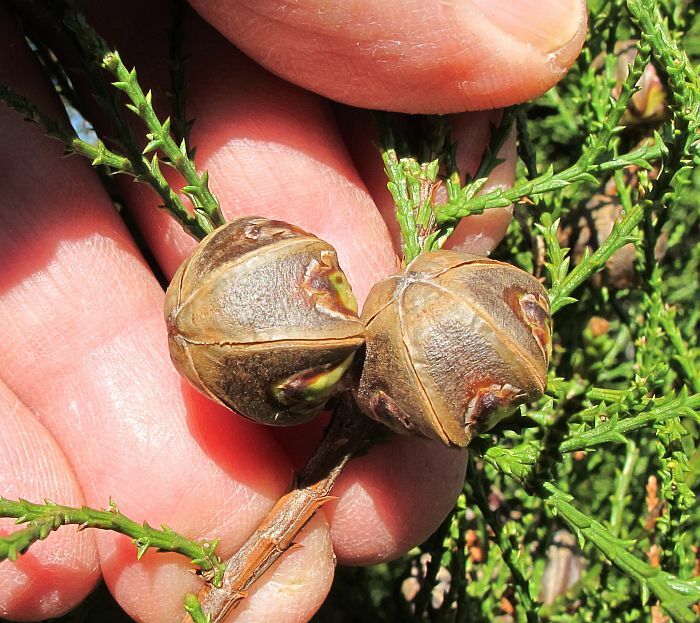 Apparently this Callitris species burns readily and intensely, which has restricted its use in home gardens. Trees are generally bushy and unless damaged when young, will usually produce a single trunk that can grow to 5 metres in height, however if the young growing tip is damaged or eaten by a browsing animal, a multi-trunk shrub is often the result. 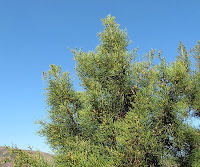 Callitris belongs to the Cupressaceae family.